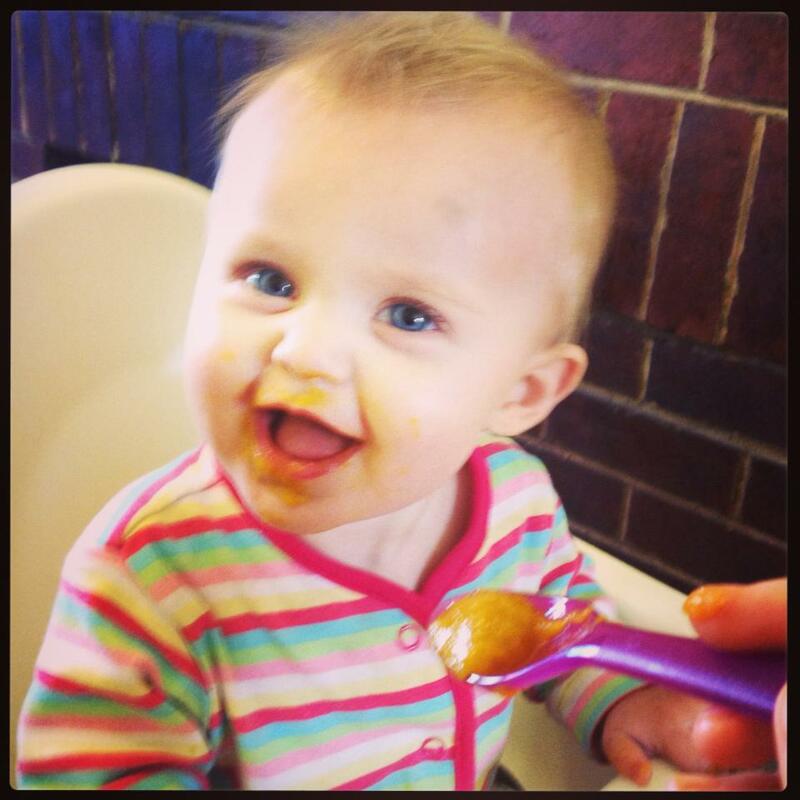 Last week I experienced for the first time what it was like to be the parent of a poorly little poppet. Little Lucy got a nasty chesty cold with one of those horrendous barking coughs. As a result my body has been fighting it like crazy and that goes hand in hand with some very sleepless nights. It is true though that babies are born with universal intelligence. She knew exactly what to do. Lie down. Stop. Screw up the to-do list (which must have been stressful for her – she had to reschedule ‘chew remote’ and ‘chase dogs’). Cry those emotions out. Feel sorry for herself. Be gentle. Sleep. Taking my cue from her I listened to what it was my body wanted. It wanted warm, grounding, healing soup. So I chose beautiful seasonal organic produce, chopped it all up and made a soup that can only be described as Bloody Bonza, Mate. (apologies to the non-Australian contingent of this readership). I then supercharged it with a whole load of ancient superfood spices and Bob’s ya uncle. So I stopped with my daughter and we cuddled and I watched Death at a Funeral for the 34,824th time. It was lovely. And the more we slurped down the better we both felt. 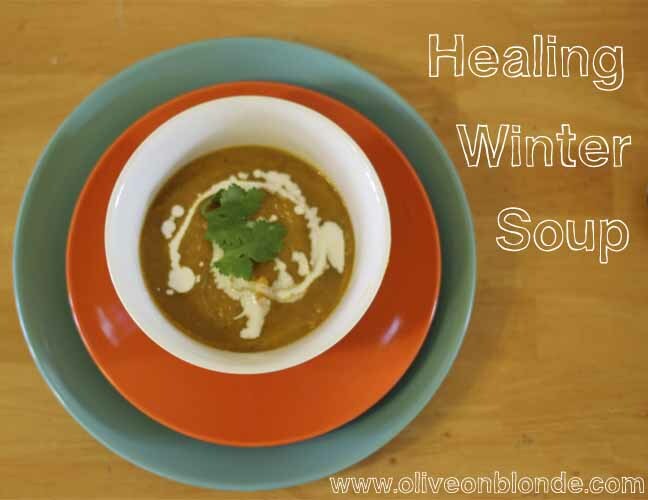 Our healing could be due to all the Vitamin C in the pumpkin and sweet potato though it is much more likely because of the soups magical powers. Add Pumpkin, Sweet Potato, Onion, Ginger, Garlic and the stem and roots of the coriander bunch. Stir until the onion is soft. Add Leek, Turmeric, Cumin, Coriander Seeds, Coriander Leaves (save some for presentation) and Nutmeg and stir until the spice has thoroughly coated the contents of the pot. Serve hot. If using coconut cream skim the cream off top with teaspoon and swirl on your soup for extra prettiness. I also dusted mine with Dulce Flakes. If you are halfway through your pot and are getting a bit tired of the same taste there are a few options. Thai Pumpkin Soup – Add coconut cream, a pinch of cayenne, lime juice and your salty seasoning of choice (coconut aminos, tamari or fish/soy sauce). 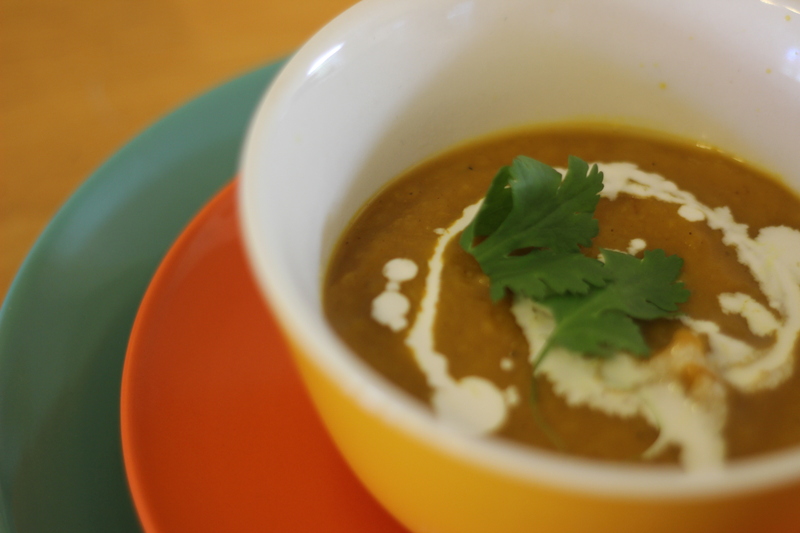 Add them all to taste and BAM – you have yourself a zesty pumpkin soup. Curry Base – I sauteed some broccoli and onions in some spices (garlic, ginger etc) and then added a few ladles of soup. Served it on a bed of quinoa with a health handful of raw cashews for a super simple lunchtime curry! What about you? What is YOUR favorite healing food when you are feeling under the weather? Now I don’t want to blow my own trumpet here… actually screw that! – get me my trumpet, my trombone and even my flugelhorn god-dammit because this is my most successful clean living recipe yet!!! 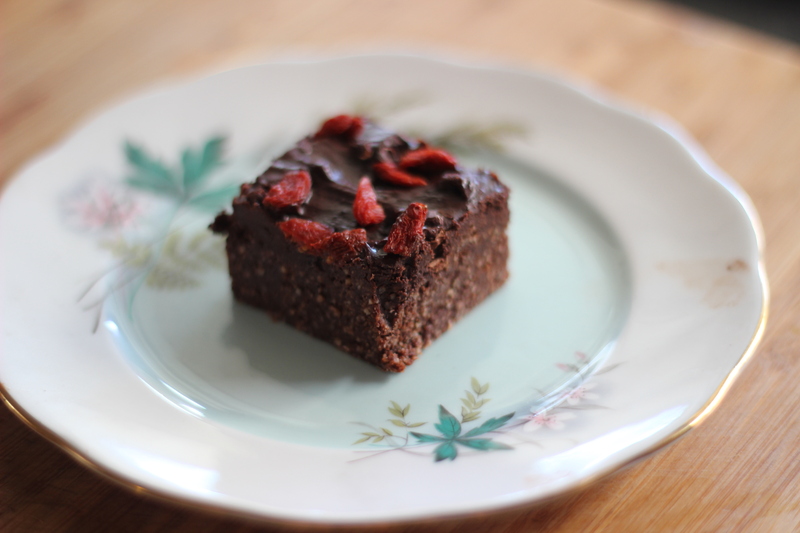 It is vegan, paleo and raw not to mention being chockablock full of superfoods. And while I am sure there are many recipes that boast the same credentials this one is so unbelievably tasty that you would never believe it was good for you! I would gladly serve this as a dessert option to the most devoted of junk food eating, sweet tooths. 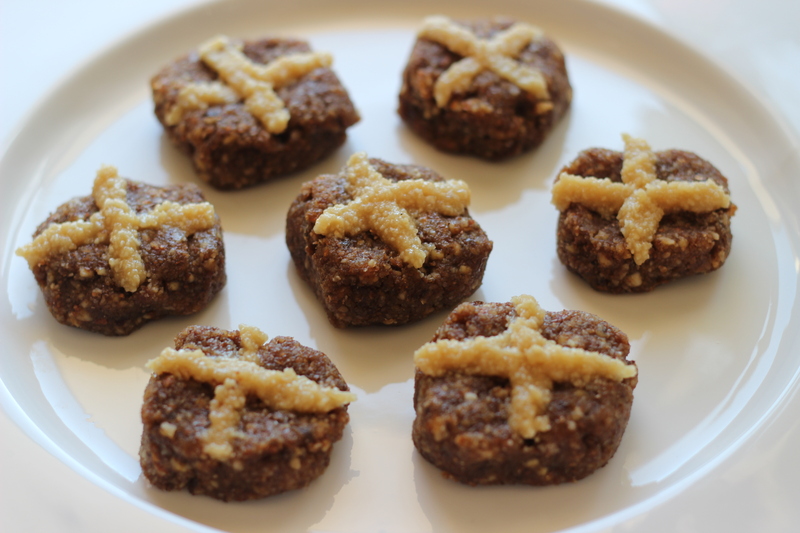 It is a perfect healthy alternative for the 3pm sugar rush or as an after-dinner treat. It is so indulgent that you only need the tiniest amount to satisfy yourself. It’s sweet…. its salty… its spectacular! Goji Berries – filled with powerful antioxidants and other compounds that may help prevent cancer and other illnesses including heart disease. Also boosts the immune system and lowers cholesterol. 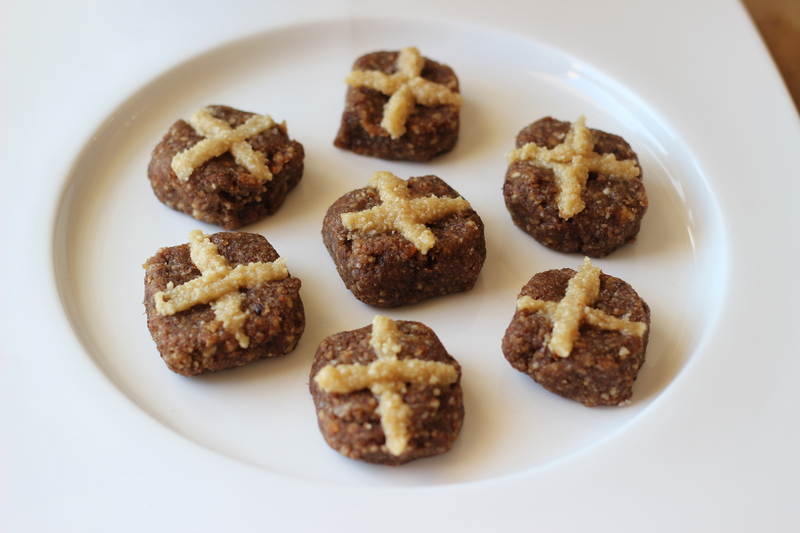 Raw Cacao – filled with iron, dietary fiber, calcium, zinc, potassium and antioxidants. Helps oxygenate the blood. A rich source of magnesium, which helps in balancing brain chemistry. It is also rich in sulfur, which builds strong nails and hair, and promotes beautiful skin. 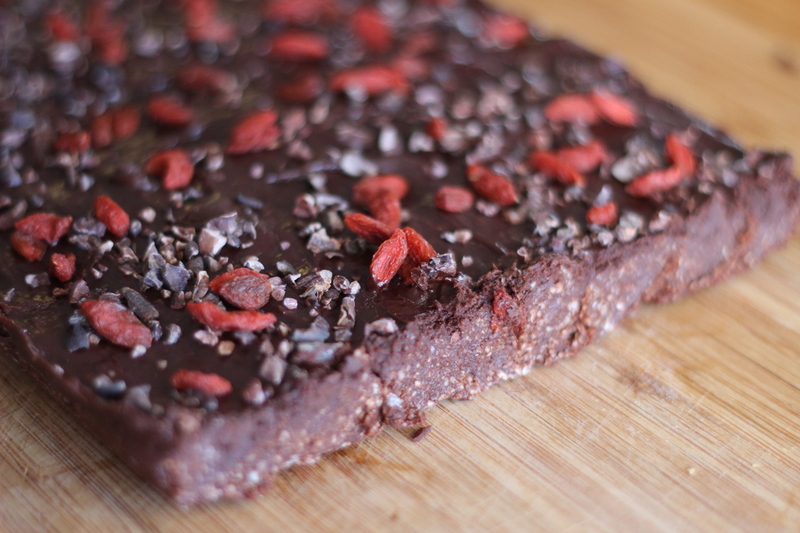 Cacao Nibs – Refer to raw cacao benefits above. Raw Cashews – decrease risk of heart disease, full of dietary fiber, good source of protein anf full of magnesium which promotes burly bones, nerve functioning and a natural heart rhythm! Coconut Oil – contains lauric acid, capric acid and caprylic acid and has antimicrobial, antioxidant, antifungal, antibacterial and soothing properties. Therefore helps to maintain cholesterol levels, aids weight loss, increases immunity, helps proper digestion and metabolism and provides relief for a host of diseases (including kidney problems and heart disease). If you need any more convincing than that I give up! 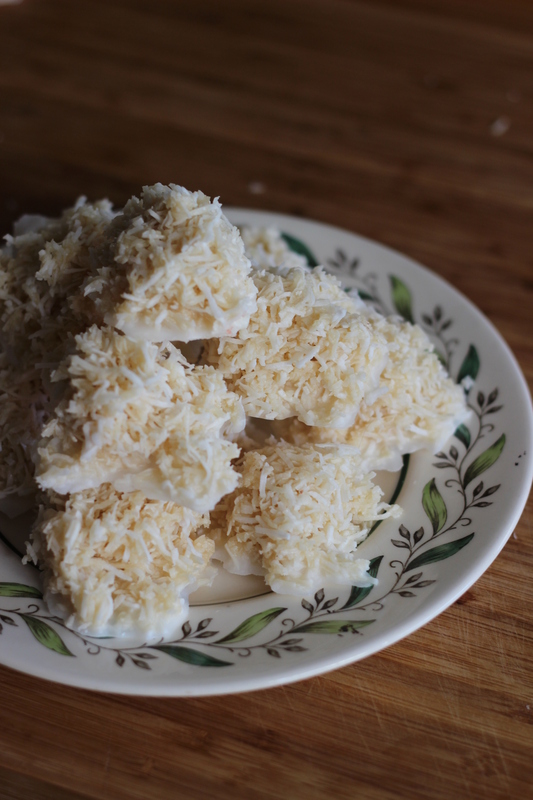 Add the shredded coconut and process until well combined and fine in texture. Add the pitted dates and goji berries and process until a soft paste forms. Add the cacao powder – process again. Finally add the maple syrup and the salt and process to combine until you have a nice creamy texture! Press firmly into a dish lined with baking paper. Place in fridge while making the ganache topping. In the food processor, blend together maple syrup and coconut oil until well combined. Add in cacao powder and a pinch of salt and process until smooth. Pour over fudge base and spread out evenly over the top. 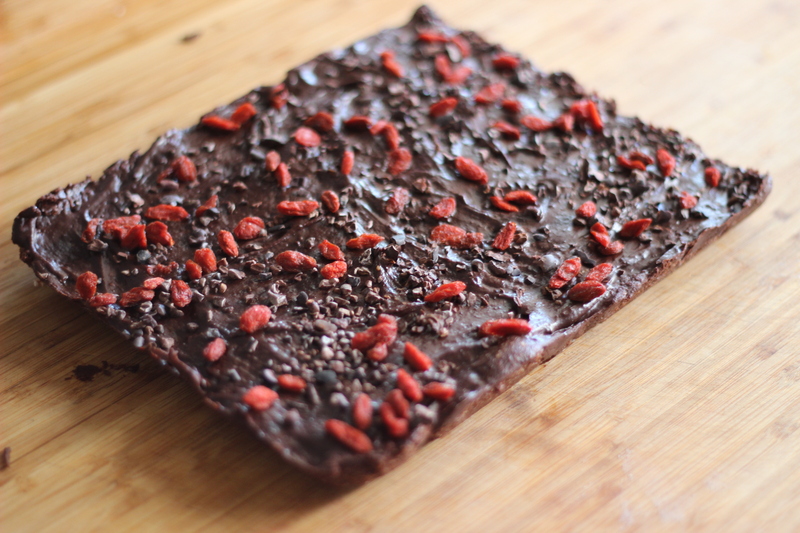 Sprinkle with cacao nibs and goji’s and return to fridge to set and firm for at least one hour. 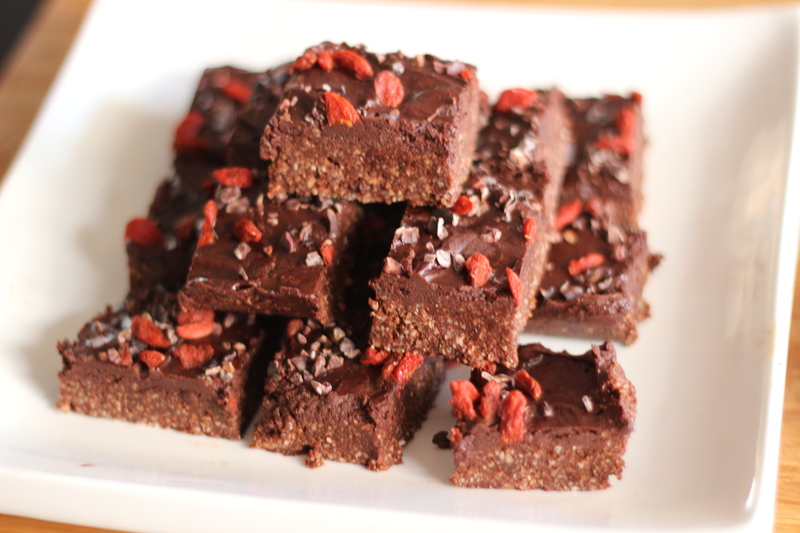 Cut into squares and serve the fudge cold. Keep leftovers in an airtight container in the fridge. 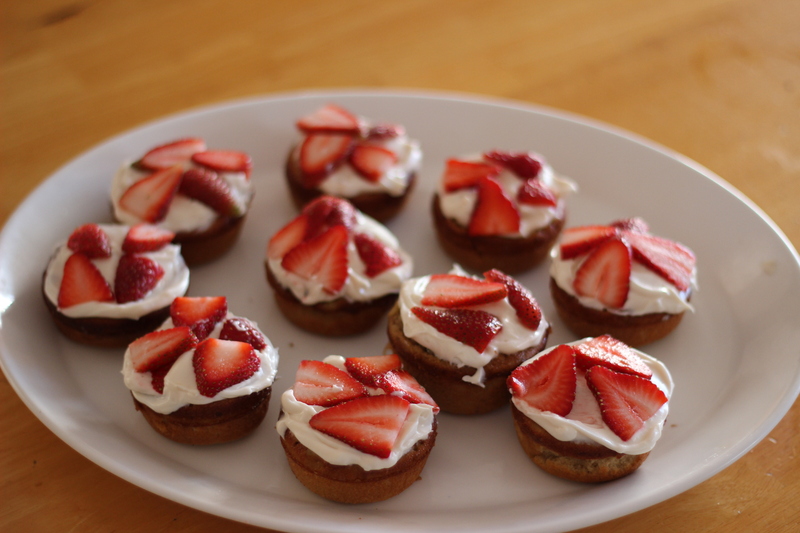 These will keep in the fridge for up to 2 months (though I doubt they will remain uneaten that long!) and you can also freeze them if needed. 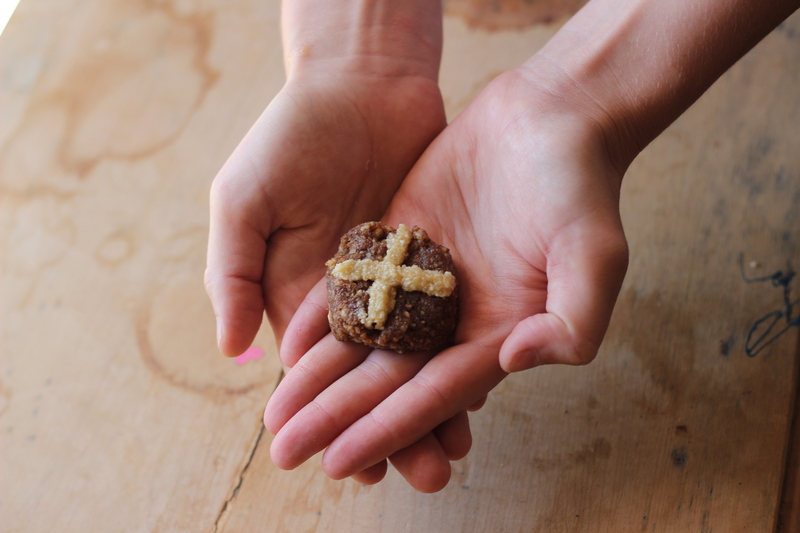 Perfect healthy snack food for kids! I often find that Gluten Free muffins, cupcakes, breads, pancakes – anything with a doughy naughtiness about them – have a funny dry texture that leaves you mouth feeling somewhat… powdery? That is why I am so obsessed with coconut flour. Every recipe I use it in turns out delicious and moist and tastes more indulgent than it is. I have spoken of my coconut love before (in my recipe for paleo pancakes – see here) but to sum it up; this is a grain free flour that is backed full of fibre and protein. Plus it is made from a ‘waste’ product; i.e. 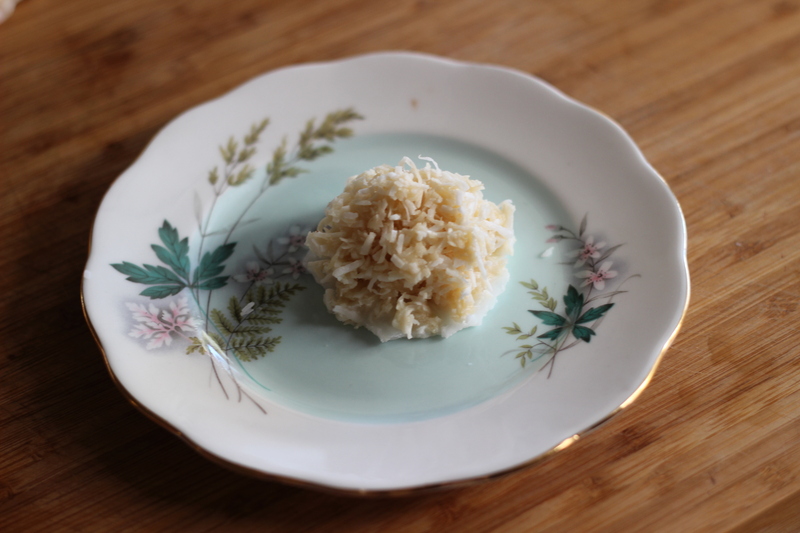 the husk of the coconut. 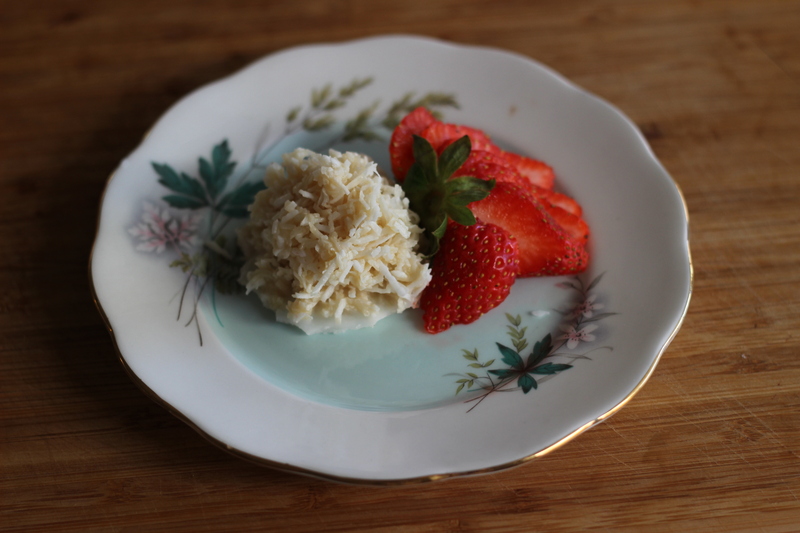 Inspired by this recipe by The Wannabe Chef, these cupcakes were super moist and had the most subtle coconut flavour. After I took them out of the oven they did sink a bit but I was actually okay with that because it gave a nice flat surface for me to apply the icing too. This being said, it wasn’t a light fluffy cupcake. I am sure they wouldn’t have sunk had I stopped opening the oven door to ogle them! Place entire tub of ‘cream cheese’ into a mixer. 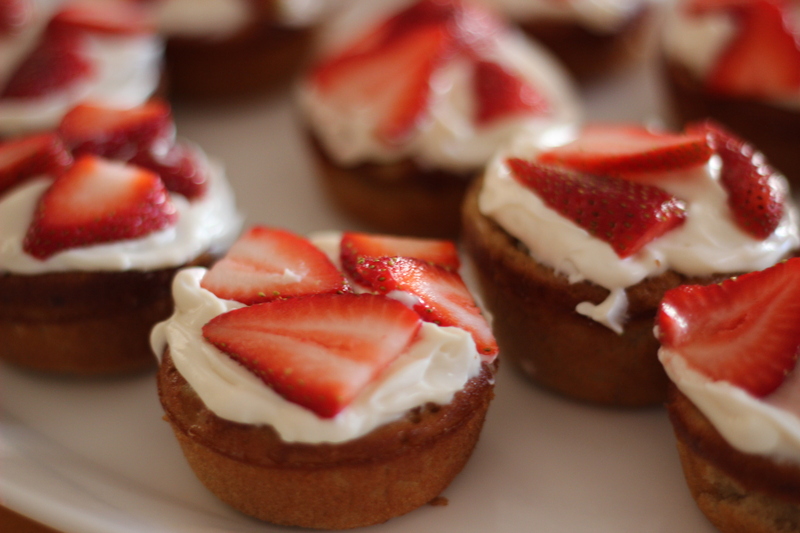 Then sprinkle in icing sugar bit by bit and taste as you go. I don’t like my frosting too sweet so I hardly use any but others like that tooth-tingling buzz. 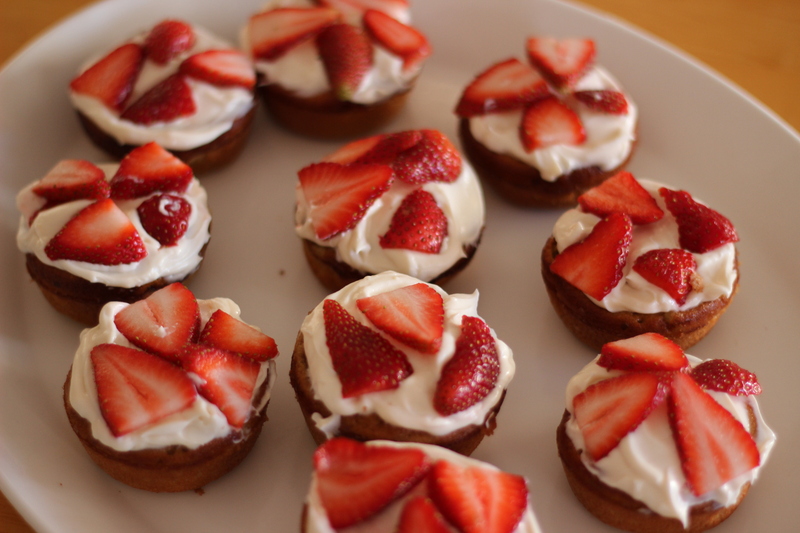 Slice up strawberries and place on top of cupcakes.